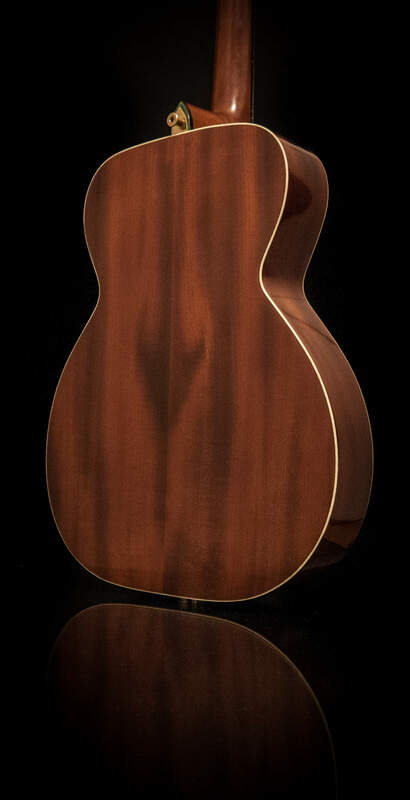 Each guitar is named after the body shape (Model C, Model S) and then the type of soundboard used to create each guitars unique individual voice – SS, HO, SK or SK adv. So a Model S with a Sobell style soundboard would be a S-SS, a Model S with a Howe Orme inspired soundboard is a S-HO. 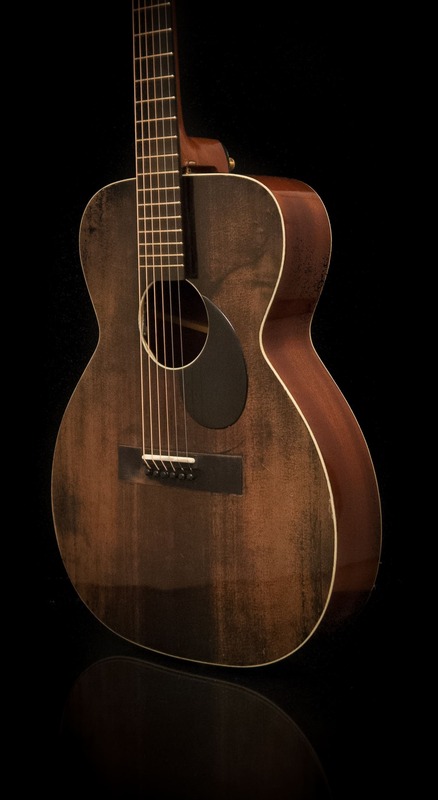 The Model S is a similar size to a traditional Martin OM or OOO, but with a tighter waist for a crisper sound. 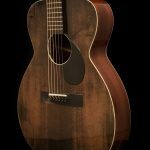 This fine handmade OM sized guitar suits fingerstyle playing, and loves dropped tunings, as do all my acoustic guitars. A beautifully balanced fingerstyle guitar. 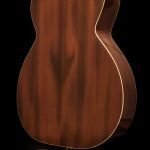 Aged Indian rosewood back and sides, European spruce soundboard, mahogany neck, Sri Lanka ebony fretboard and ebonised fruitwood bridge. Gold Gotoh 510’s or open gear Hipshot tuners.